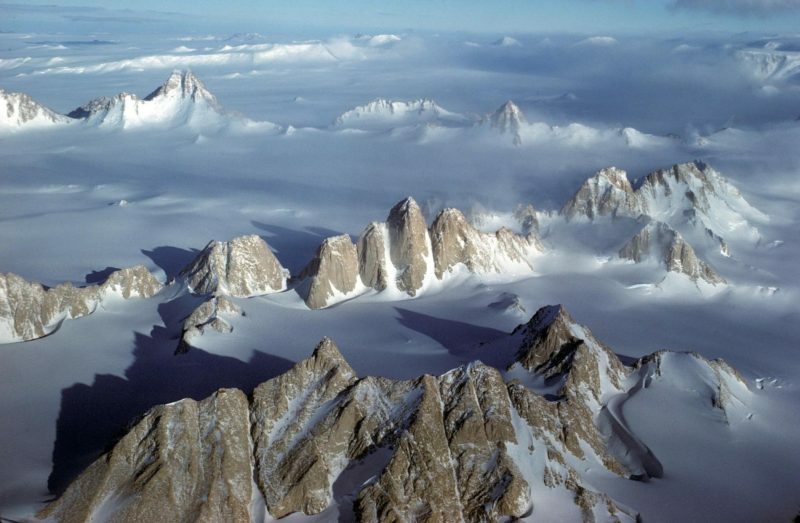 At the southern end of the Transantartic Mountains lie a group of Granite mountains reminiscent of the famous Fitzroy massif in Patagonia called the Organ Pipe Peaks, a subgroup of the Gothic Mountains within the greater Queen Maud Mountains. Their centre piece the awesome spire of the Spectre. I’m leaving on November 15 with two other kiters/climbers for a 10 week expedition to climb these mountains. An ambitious logistics plan has been formulated combining a ski-plane drop off with a 1500 km man-haul/snow-kite return journey utilising the Antarctic winds. Over 70 days our small team, each dragging 175-200 kg pulks plan to make alpine-style ascents of unclimbed peaks in the region as well as making highly technical first ascent of the magnificent South Pillar of The Spectre. An unsupported, trans-continental journey will then be undertaken from the Ross to the Ronne Ice shelf travelling mainly by snow-kite but man-hauling where necessary. This will be the first independent expedition ever to explore the Gothic Mountains and the first time such a long polar journey has been combined with technical Alpinism.